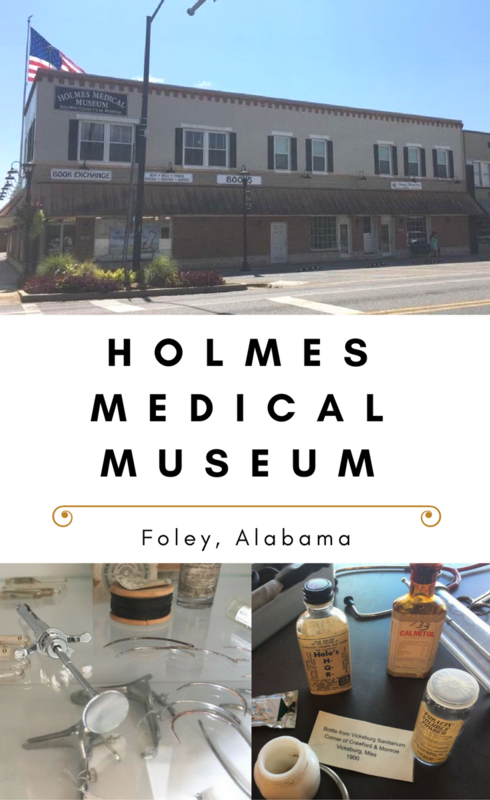 In Foley, Alabama, deep in the heart of the south, discover the Holmes Medical Museum. The museum, housed in Baldwin County’s first hospital, which operated on the second floor above the general store of that era. The hospital was active from 1936-1958 and served all the people of the region. Dr. Sibley Holmes was the first physician to serve the people of Baldwin County, besides serving as a state senator and mayor of Foley. He dreamed of building a hospital for the people of Foley who lacked quality, accessible medical care. Anyone sick enough to need a hospital had to travel to the “big city” for care, not practical for those patients facing a true medical emergency. While Dr. Sibley Holmes never saw the hospital come to be, his son, Dr. William C. Sibley, founded the hospital with the support of his wife (and nurse) Philomene. During World War II, Philomene ran the hospital while her husband served in the US Navy. 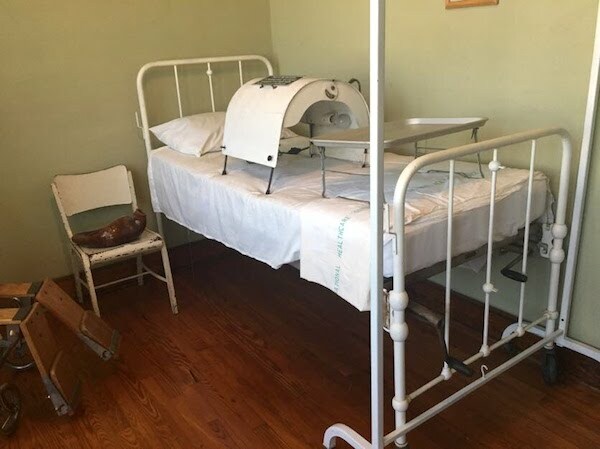 Today, the museum preserves this special time in Foley’s history with exhibits that display antique medical equipment, an operating room, typical patient rooms (with A/C which they did not have back then, but is so necessary to preserve the artifacts), and a collection of “quackery” medical devices. Some of the medical equipment gave me the creeps! Knowing what we do now, it’s amazing more people did NOT die from infections during hospitalizations! Patients shared rooms — and germs! Needles were “disinfected” and used over and over again. You know how IV bags are used today? One time and done? Well, back in the day, glass jars were used. Ball jars, like the kind we use to can vegetables (or make DIY Christmas gifts!). EWWW! In the old operating room, surgical equipment (some of it quite barbarian by today’s standards) is on display. X-ray equipment is displayed in a nearby room — back before patients and medical staff were fully protected by lead aprons and walls! In this small, seven room hospital, patients stayed in a women’s ward and a men’s ward. “Ward” basically means a large room capable of holding 2-3 patients at a time. A restroom in the hall served all the patients. Zana Steadham Price, the museum’s gracious host, explained that patients back then stayed at the hospital only until they could walk to the restroom and back unassisted. From there, they’d go home to recuperate. The hospital was only for those patients fighting to survive, and for mothers to give birth. When we got to the maternity ward (ha! one room with one bed! ), I was a little overwhelmed. I took this photo of the bed and sent it to a friend of mine who was 9 months pregnant at the time (I’m not sure she still considers me friend). The domed item on the bed is an early version of the heating pad. Basically, lights inside the arch heat the air around mom’s belly to offer comfort. 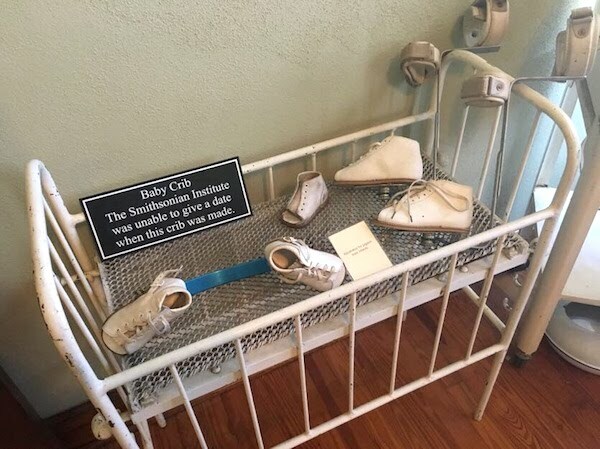 The room also includes medical devices used for babies, like incubators, a newborn bassinet and shoes to correct pigeon toes. Does anyone else remember those shoes with the bars — or is that something only Gen Xers remember? Quick fixes are not new! Today’s diet pills and “fat freezes” are just the latest in a long line of crazy medical quackery. The quackery display at the Holmes Medical Museum will give you a good laugh — or it might make you shiver. Some of it is really weird! Out of respect for real doctors, including Dr. Sibley Holmes and Dr. William Holmes, this quackery was not part of their medical practice. 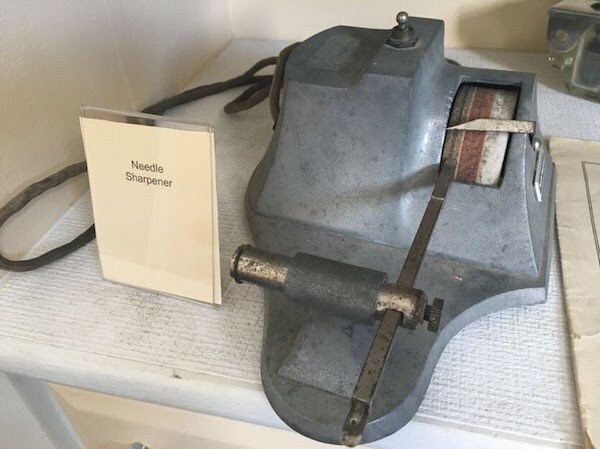 It’s included at the museum because it’s relevant to the era. And, where else would you put a collection of medical oddities like this? Not the train museum, that’s for sure! 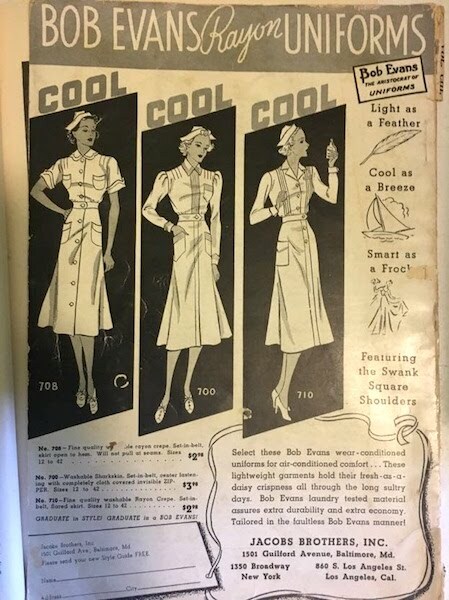 Besides these, visitors can learn about early pharmacology, see the nurse’s quarters (including uniforms), the waiting room, and the steep stairs patients climbed to be treated. Old medical bills are also on display. That might trigger a discussion or two. The hospital served far ahead of its time. Doctor William Holmes served all the people, regardless of skin color. There were two waiting rooms, both indoors, one for whites and the other for blacks. Otherwise, everything was the same — same exam tables, same hospital beds, same medical equipment. 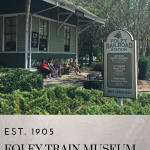 The museum is located at 111 W.Laurel Ave., Foley, Alabama. Hours: Monday-Saturday, 10 a.m. to 2 p.m. Some tips before you go! The museum is located in the heart of downtown. There is ample on-street parking nearby or you can park in the lot by the pedestrian bridge if you plan to see more of the town. Enjoy a meal at any of the local restaurants, though for a quirky, memorable lunch, I recommend the Copper Kettle Tea Bar. It’s funky, fun and friendly — with great tea and an ever changing soups, salad and sandwich menu. Allow an hour to tour the museum, or more if you’re fascinated by antiquities or the medical profession. This is suitable for kids, probably second grade and above. 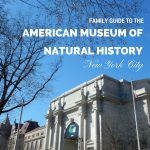 To make it more fun for younger kids, I created this FREE, Holmes Medical Museum Explorer’s Guide to keep them engaged. Enjoy! 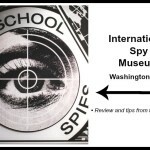 The museum is available for group tours and field trips. If you have questions, about the medical museum or about Foley, be sure to ask Zana — she knows it all! To learn more and plan your visit, click here. You can also follow Holmes Medical Museum on Facebook.